How can you capture customer feedback soon after the flowers go out for delivery? 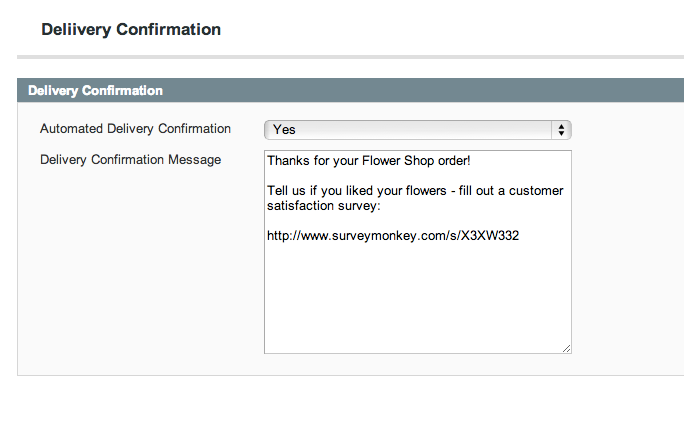 SurveyMonkey is an amazingly easy to use tool to send customer satisfaction surveys to your flower shop customers. 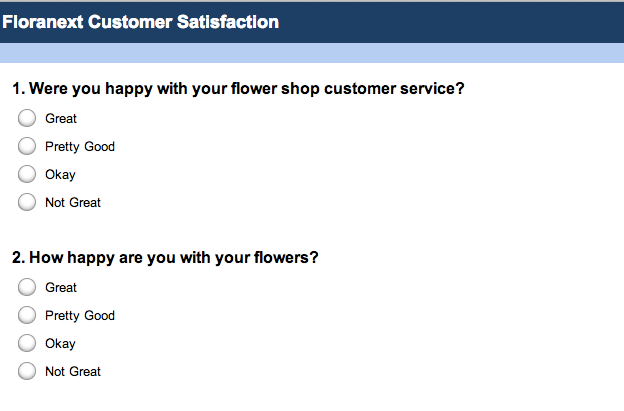 Use Survey Monkey survey to capture customer feedback from flower shop customers. Survey Monkey is a free, customizable software solution. Ask survey questions on quality, customer service, delivery and even free text fields for open-ended questions. 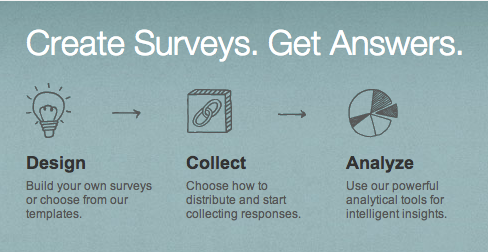 Here is how you create a new survey. From any page in your SurveyMonkey account, click Create Survey from the upper right-hand corner of your screen. Choose create a new survey, type your title into the appropriate box, and then pick a category. To add questions and page breaks, from the Design Survey tab, click Add Question. A dialog will open for you asking you for the question type and question text visible. Type the question then choose what kind of question it will be from the drop-down menu. You can any of the questions types shown here. When you finish adding questions, click Save & Close. When you finish creating the survey, you will need to create a web link to distribute a survey. On the Design Survey tab, click Send Survey button in the upper right-hand corner. You will see the Send your Survey page where you can copy this web link to use it in email, on Facebook, or part of a printed document. You should now press Control+C to copy the web link to use in the next step. If you have Floranext’s Florist POS software you can do this in your admin by clicking Store Settings→ Delivery Confirmation. Turn the confirmation feature on by selecting yes to enable Delivery Confirmation. Include the web link to your survey and the link to your florist website in the message you send to customers. Customer surveys using SurveyMonkey or similar tools are a great way to collect customer feedback and improve your flower shop. Let us know how they work for you! Thank you for sharing this useful article!